Say a prayer after you have anointed yourself. The word "anoint" comes from the Latin "inungere," meaning "to smear on." References to anointing oil can be found in both the Old and the New Testaments of the Bible. People used oil for blessings, healing the sick and ordaining servants of God. Many Christians use olive oil to anoint themselves or others in a symbolic affirmation of their religious devotion and commitment. 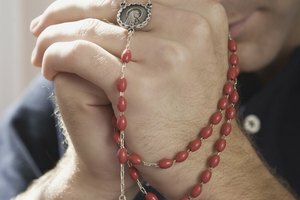 You can anoint yourself daily or to mark special occasions, such as fasts. Consecrate your olive oil by holding it and asking God to bless and sanctify it. Moisten your fingertips with olive oil. Touch your fingertips to your head, mouth, eyes, nose, ears, hands and feet. Pray that you will be cleansed, and renew your commitment to God. If you are anointing yourself for a special occasion, reflect on the occasion and pray. 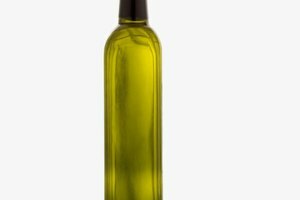 Store your olive oil in a cool, dry place. 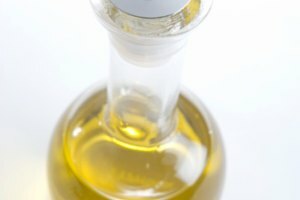 Do not refrigerate olive oil, as it may become cloudy. Some churches have specific anointing practices. Ask your pastor or minister whether your church recommends specific procedures. You can also anoint objects or other people with olive oil. Always consecrate your oil again if you add new olive oil to your container. Do not use your anointing oil for any other purpose. Richards, Rebekah. "How to Anoint Myself With Olive Oil." Synonym, https://classroom.synonym.com/how-to-anoint-myself-with-olive-oil-12082733.html. 29 September 2017.